St Ives is the perfect destination for your Cornish holiday. Discover the beautiful sandy beaches and have a go at some watersports in the sparkling turquoise sea. Meander through the cobbled streets of St Ives and explore the gift shops. Dine in a delicious restaurant every evening or retreat back to your holiday home for a BBQ. 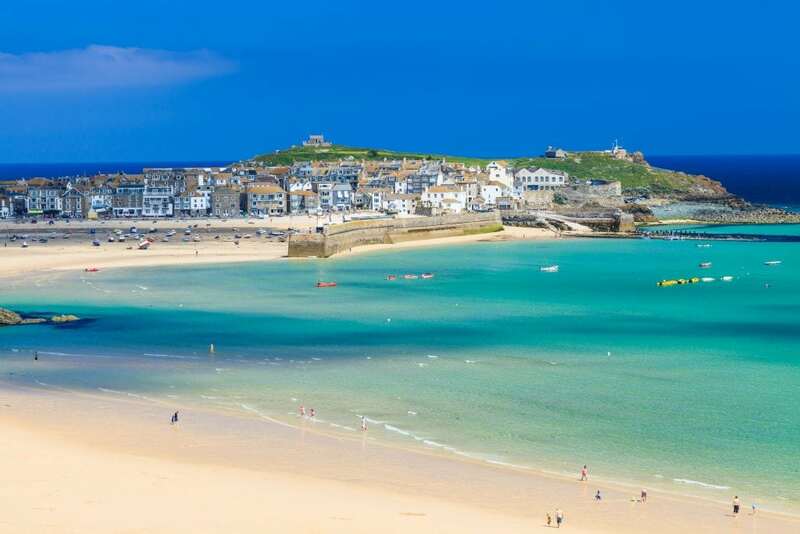 Find your dream St Ives self catering property for your holiday in Cornwall. Whether it’s a family holiday, a romantic break or a big group of you including your pet dogs, you can be sure to find your ideal holiday home to get away from it all with Carbis Bay Holidays. Escape to the stunning Cornish coast in a luxury seaside retreat. Our St Ives self catering cottages ranges from beachside penthouse apartments to city chic designer family homes by the sea. St Ives is a great place to go for a surfing or walking holiday, a foodie break or simply to relax on the beach. All of our holiday homes are within walking distance of the coast, with beautiful beaches and fantastic coastal walks. St Ives is the perfect base for exploring West Cornwall. 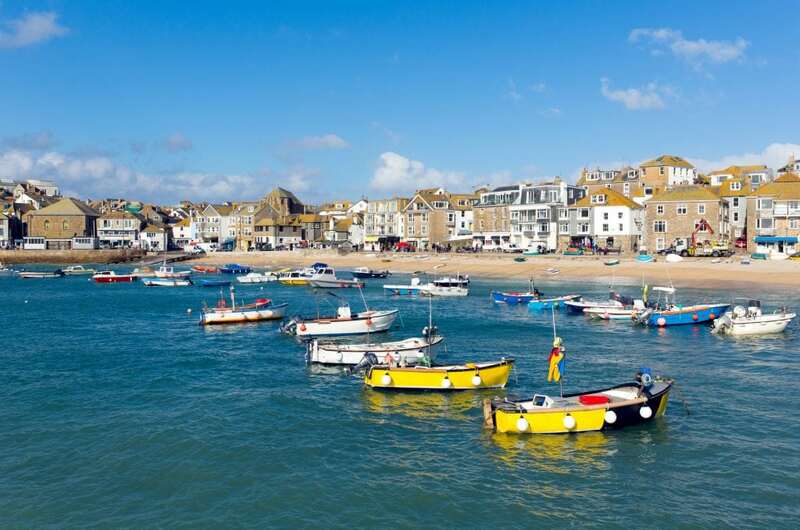 We have a lovely selection of holiday cottages in the idyllic seaside town of St Ives. Our holiday cottages are all presented to a high standard, have gorgeous views and complementary parking. Our St Ives cottages offer the perfect home from home to make your Cornish getaway relaxing and enjoyable. 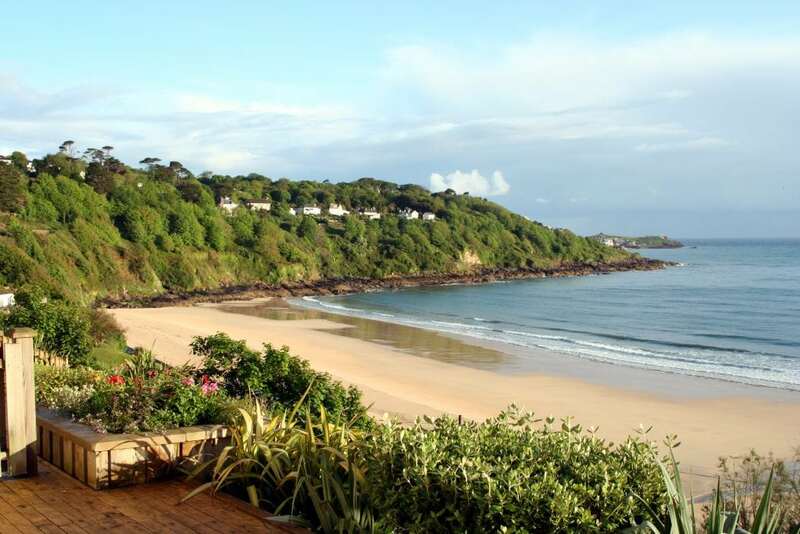 We also have a selection of holiday cottages in Carbis Bay. Just a stone’s throw away from the vibrant seaside town of St Ives, Carbis Bay is easily reached on the scenic branch line. Carbis Bay has a gorgeous sandy beach and amazing views across St Ives Bay. Enjoy breathtaking coastal walks, have a go at kayaking or SUP, and enjoy a relaxing BBQ in your cottage garden. 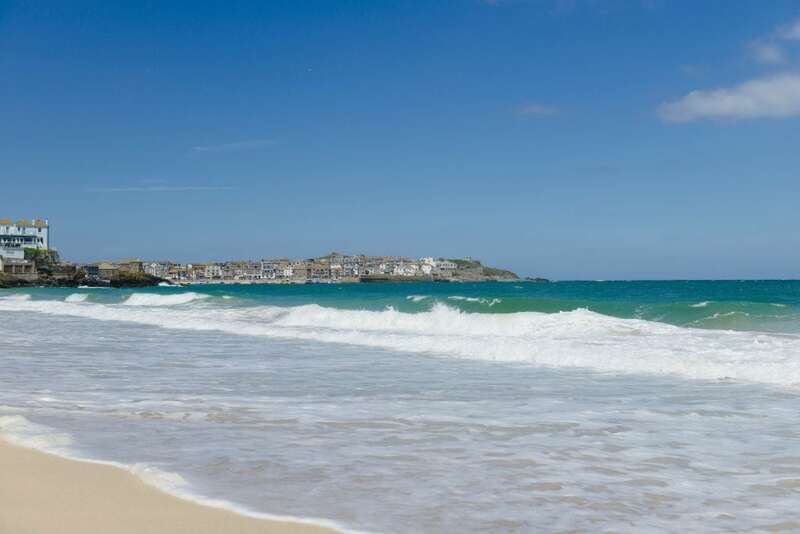 We have a great selection of St Ives holiday apartments and villas with spectacular sea views. Our luxury apartments are the perfect way to escape from it all, with views of gorgeous golden sand and the crystal clear Cornish ocean. Imagine making your morning coffee with a sea view, enjoying breakfast on your outdoor seating area and then chilling out in your comfy living room after a day of exploring. You’ll never want to leave! If you’re looking for a dog-friendly St Ives self-catering property, search no further. We have over 30 holiday properties to choose from which are pooch friendly in St Ives and the surrounding areas. Your four-legged friend will be welcomed with dog treats on arrival and some of the properties accept two dogs. 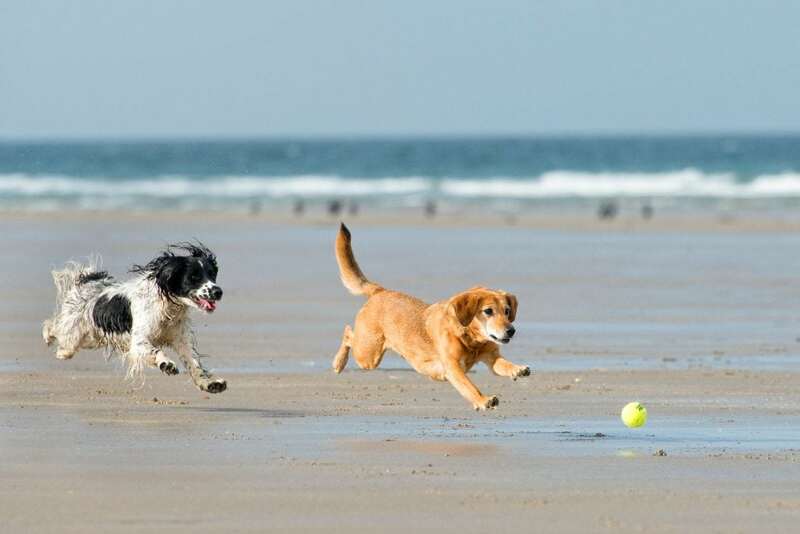 With plenty of dog friendly beaches, easy access to the south west coast path and a great selection of dog friendly attractions and eateries, Cornwall really is a brilliant place for wagging tails. All of our dog friendly St Ives cottages and holiday homes are 4 or 5 star properties rated by Visit England and most of them have their own gardens too. Perhaps you’re planning a romantic getaway or want to treat the family to a week of luxury. We’ve got the perfect luxury St Ives self catering property for you. If you’re looking for something extra special, why not choose a holiday home with added extras? Some of our holiday homes have their own hot tub, thermal pool or sauna. We also have holiday homes with a fire or wood burner, perfect for cosying up with loved ones in the evening. You can use the filters on our search page to select the special features you want, such as hot tubs, wood burners, private balconies, enclosed gardens or access to a BBQ. If you’re looking for a holiday to remember, check out our grand penthouse apartments. None of our holiday homes or apartments are very far from the sea, but if having sea views from your St Ives self catering property is a deal breaker, you’ve got plenty of choice. 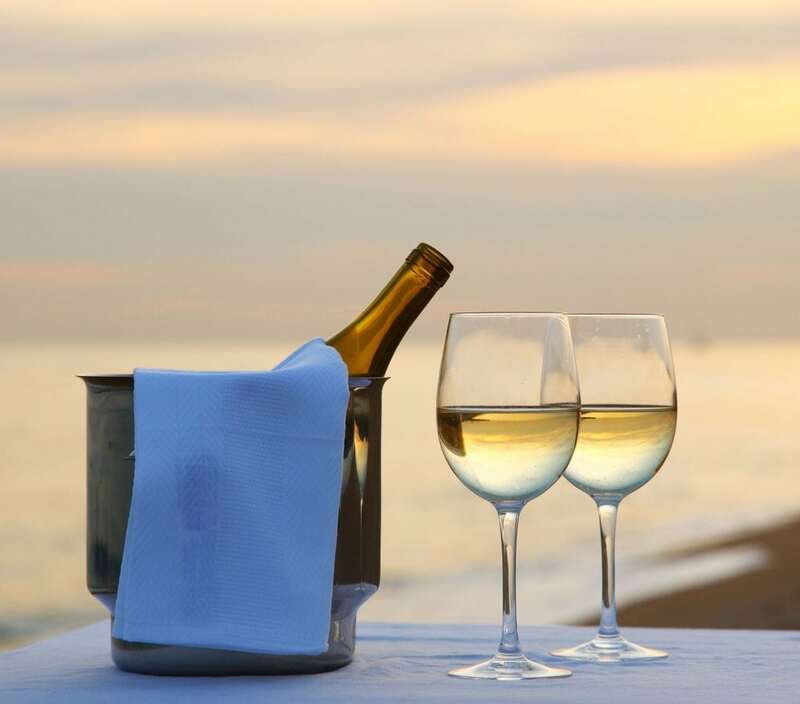 We have more than 50 beach view holiday homes, where you can dine al fresco with an ocean view. Watching the waves crashing against the shore from the comfort of your holiday accommodation will leave you feeling calm and relaxed. Just a few steps across the golden soft sand and you can take a refreshing dip in the ocean. All of our guests are met at the property when they arrive and all of our holiday accommodation has complimentary parking. You’ll also be greeted with a selection of local Cornish produce to help you settle in to your home away from home. We have a huge selection of St Ives self-catering accommodation for you to choose from. Ready to start holiday planning? There are plenty of holiday ideas on our website if you need more inspiration! You may also enjoy reading our blog about reasons to go on a self catering holiday in Cornwall.